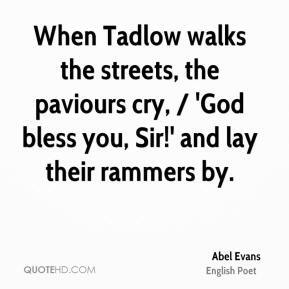 When Tadlow walks the streets, the paviours cry, / 'God bless you, Sir!' and lay their rammers by. Under this stone, reader, survey / Dead Sir John Vanbrugh's house of clay. / Lie heavy on him, Earth! 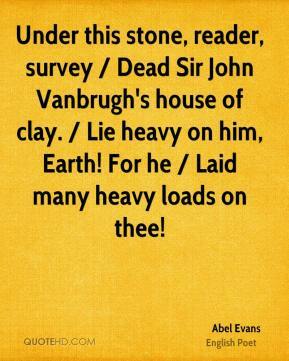 For he / Laid many heavy loads on thee!